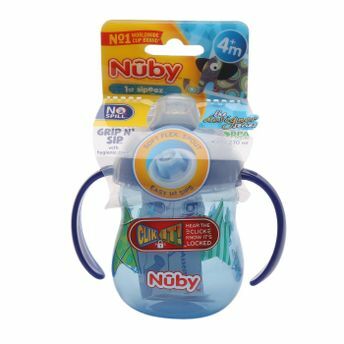 Nuby's Click-It range of cups offers leak proof technology that you can see and hear so moms and dads won't have to worry about spills and leaks! 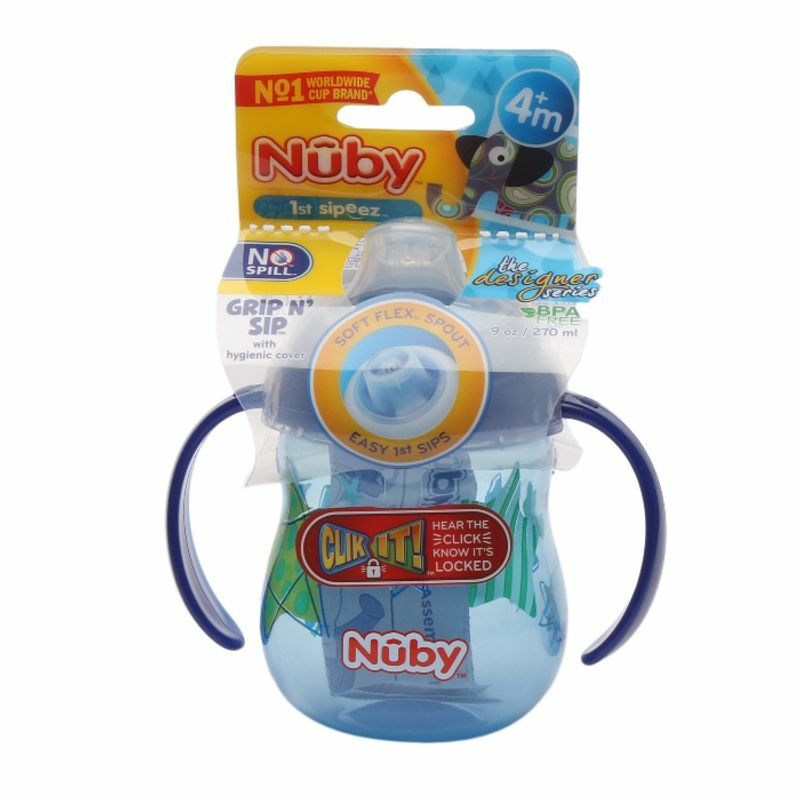 It features a Soft Flex spout which is gentle to child's tender gums and emerging teeth. Great for travel and short trips! Holds up to 9 oz. of liquid. BPA Free.